Want to create your own branded box of condoms like you see in a drugstore? Say It With A Condom can help! 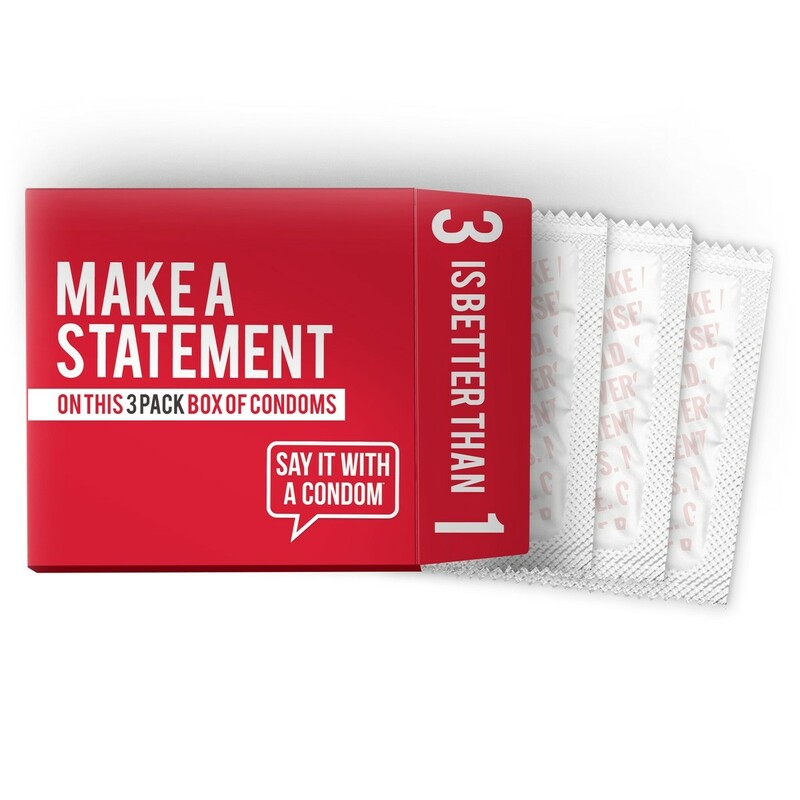 Our Custom Condom 3 Pack Box can be customized with the design of your choosing, plus, you can even customize the condoms that go inside. Because of the many different combinations of how this product can be assembled, we'll need to quote each job individually. Please click the button below to fill out our quote request form. Also know, the minimum order is 250 pieces. Some of our products are limited to wholesale customers only. To view pricing and order, please fill out our wholesale form and one of our representatives will get you setup. Natural colored latex is included in the price. Red, blue, green, yellow, black or pink colored latex is available for an additional .05¢ per piece. There is a one time $125.00 setup fee for this custom condom option. We will keep your artwork on file indefinitely and will waive this setup fee if you place a reorder with the same design. After your artwork is approved, it will 10 - 14 business days for standard production before we ship your order. We will do whatever it takes to meet your event date.